Summer this year is an especially interesting time for my family. Crazy times approach, as I will be taking my daughter off to college in the next few weeks. This happens at one time or another for most people, but it is having a big effect on me and how I view things these days. It feels like only yesterday I was 26 years old and starting SQA with my Dad; now, I have an 18-year-old daughter leaving home and a 16-year-old son leaving a few years behind her. The old saying sure is true that time flies when you’re having fun! Before I get going on specific Wins and Challenges, I want to take a quick moment and thank everyone who is reading this for what you’ve done to support our company. Maybe you’re the Associate who made a huge difference by implementing a new program in the Aerospace Defense sector that kept our country safer, or maybe you’re the employee who put 50 people to work over a three-week period for our new client with growing needs overseas. Perhaps you’re the client who had the guts to hire us in 1995 when we were totally unproven but had a lot of potential, or maybe you’re the person who used to work for SQA and have since retired, but you are still interested in finding out what’s happening with us as we progress. To all of you, you mean more to me – and to us – than you can imagine. Thanks for being you and believing in SQA! I love our country, and, although not everyone sees eye-to-eye politically, I can honestly say that it was a true honor to visit Capitol Hill with a key client recently and visit several Senators and Members of Congress. Senators Diane Feinstein and Kamala Harris and Members of Congress Ted Liu and Maxine Waters welcomed us into their respective offices and listened to our thoughts about what it takes to increase jobs in the manufacturing sector. Their staff members wanted to hear about the fields in which we specialize, our concerns and ideas, and how they could contribute to the achievement of our combined goals. We spoke with candor about the number of programs cut from schools, making it more difficult for children with engineering-type minds to flourish. Other countries have outperformed the U.S. in building environments conducive to the development of more engineers, inspectors, and auditors. It’s tough when most metal shop classes are no longer offered to high schoolers because of budget cuts. We had four meetings in one day, and each meeting resulted in several substantial takeaways on specific actions we can take to improve the likelihood of success in this area. My fingers are crossed that we notice change in this critical area in the future to yield more exciting careers in Quality for generations to come. 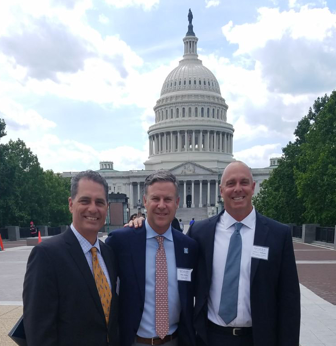 Pictured from left to right: Executive Vice President Gerard Pearce, President/CEO Mike McKay, and Director of Business Development Jason Williams. While in DC, we were approached by another client, and we discussed the growing challenge of adding to our technical team during rapid growth. We were introduced to an amazing concept in which we plan to invest heavily over the next few months. We met a great guy, Dustin Tillman of Elite Aerospace, who has dedicated much of his time over the years to finding jobs for those who have fought to protect our freedom. Dustin started a non-profit organization called EVI, the Elite Veterans Initiative, with an aim to put veterans who are looking for jobs back to work. The problem is that although many veterans are fully qualified to do much of the work that needs to be handled around the country, their resumes often do not translate well to commercial industries. There are currently more than 500,000 U.S. Veterans looking for employment, and SQA has a goal of putting 100 of those folks to work by the end of 2018. Surprisingly, many Veterans’ biggest fear after leaving the military is not post-traumatic stress disorder (PTSD), but uncertainty regarding how they will support their families. This is tragic, and our company hopes to make an impact with some of these families whose members deserve to be considered for their next mission in life. We will partner with EVI and look for ways to assist them in vocational training and other areas to make a difference. I will update you all later as we progress, but in the meantime, please don’t hesitate to contact me if you have any ideas to help us succeed in our efforts! Round two of our Quality Exchange (QX) took place in late June and was attended by Colin Walker, Corporate Quality Director with AeroVironment; Wendy Laderach, Executive Director, External Supply Quality with Amgen; Tim Reinhardt, Senior Consultant with RMC Pharmaceutical Solutions; and Ghazi Kashmolah, Senior Vice President with DJO Global. Lots of amazing ideas were exchanged in our day and a half of enthralling discussion. Wendy discussed cultivating relationships with suppliers, Ghazi introduced a closed-loop quality system to drive supplier performance, Colin shared his experience in consolidating to high-performing suppliers for improved performance, and Tim offered insight on vendor management in a changing world. In addition to enjoying a rich exchange of ideas, everyone contributed suggestions for ways that our company can perform at an even higher level in 2018 and beyond. Thank you to the attendees for participating, and please reach out to me if you have candidates for future sessions. These Quality Exchanges are going to take place every other month and we will be rotating locations in the coming sessions, so stay tuned for more information soon! Many times we find the technically perfect candidate for a certain assignment. They possess all the required certifications and the hands-on experience necessary to flourish in their respective assignments. Unfortunately, this is not always enough for the clients, and although it is nobody’s fault, we are going to try some new things to increase our first-pass yield on Associate deployment and more closely measure total Associate satisfaction in a variety of new categories. One client might love how inquisitive a certain auditor is, while another client may be annoyed with the same auditor’s incessant questions and may feel that our Associate could be a better listener. Sometimes, a certain engineer might operate in a capacity or manner with which the client or supplier takes issue, but we only hear about it some of the time, and often when it’s too late to mitigate risks with a contingency plan of sorts. Our product is our people, and we sometimes miss the mark with aligning personalities because we simply don’t survey our Associate base in this area or consistently ask the client to provide detailed expectations in this area before we engage. We want to improve, but we don’t want to overthink the situation either, so we are determining the exact steps to take over the next few weeks. At our last QX, Wendy Laderach gave us an awesome idea to consider a personality matrix of sorts when sending our people into the field. We’re considering a variety of methods to obtain this critical data, and you will learn more in the future about this initiative. Adjusting to Changes In Industry… Is Location of our Associates Becoming Less Important? 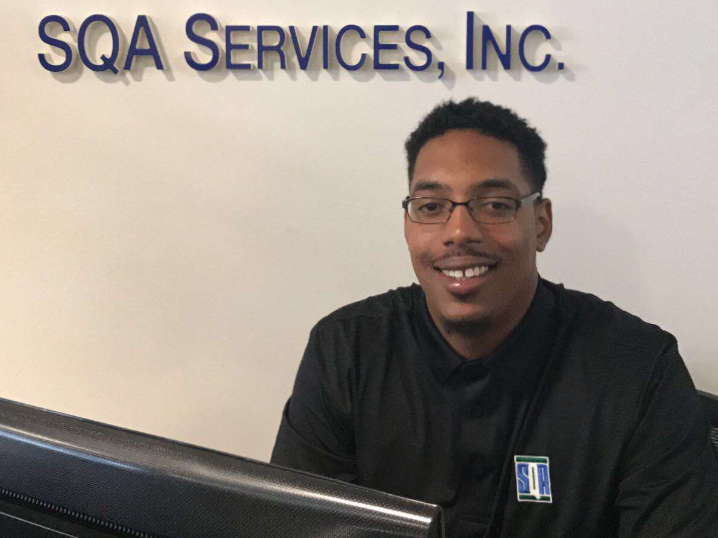 When I started SQA, one of my primary value-adding goals was to make sure that our clients could utilize one of our qualified Associates within an hour’s drive of any of their suppliers or internal facilities anywhere in the industrialized world. We still try to accomplish this, but we are recognizing more and more that certain clients would rather have continuity by traveling proven Associate talent within a particular region. Our Associate Development department must go crazy sometimes trying to find the perfect person who is available and happens to be in the right location to perform the assignment. There are many things to align and sometimes, during hectic growth like we’re experiencing now, it simply makes more sense to utilize someone who can work faster for the client and either pass through or share nominal travel costs. This isn’t a warning that clients are going to start seeing travel costs on future invoices that they aren’t used to seeing; it’s just a growing trend to keep in mind. In the bigger picture, will people always need to wake up, drive in traffic, and work from 8am to 5pm? We’re seeing signs that people are leaving those types of standard American jobs and focusing on becoming more mobile and flexible. We need to adapt to this trend by doing everything possible to add the most value for our clients while also keeping the satisfaction level of our Associates in mind. As always, thanks for reading and please don’t hesitate to contact me with any questions comments or concerns. I frankly love the feedback and consider every single one of the comments. My email is mmckay@sqaservices.com. Don’t forget to send us your Already Here photos! or email your photos to media@sqaservices.com. 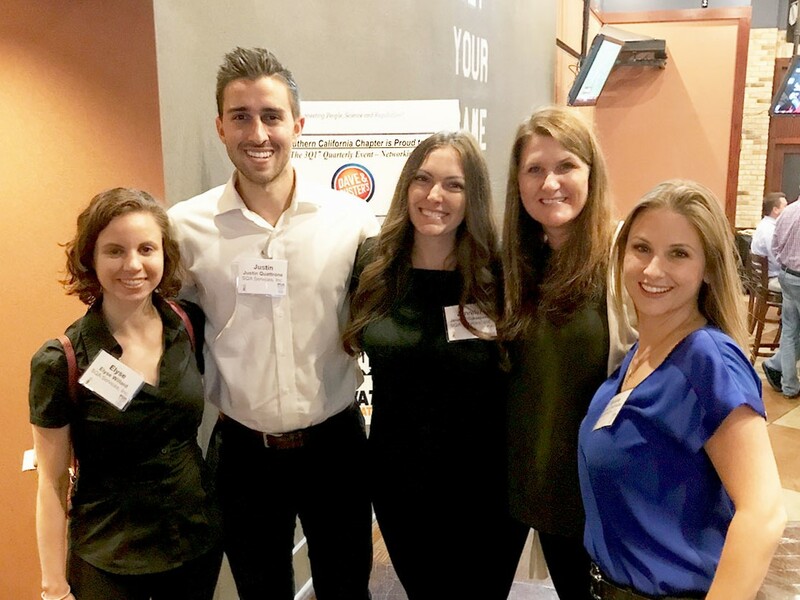 The SQA team had a fun-filled night of networking at the PDA Southern California Chapter’s Q3 Networking Event at Dave & Busters on August 17th. Thanks for having us, SoCal PDA! SQA is proud to be one of the sponsors for the SoCal PDA’s Annual Vendor Night, on September 28th. 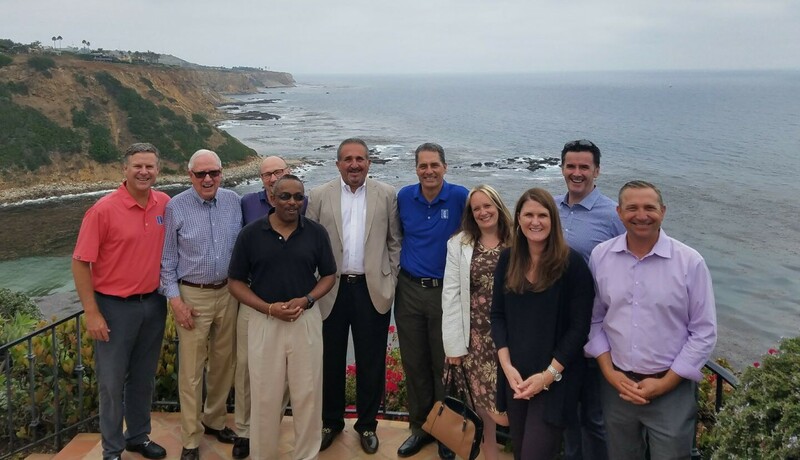 Earlier this month, SQA’s Executive Vice President, Gerard Pearce met with the Quality Assurance Committee of the Personal Care Products Council in Manhattan Beach, CA. 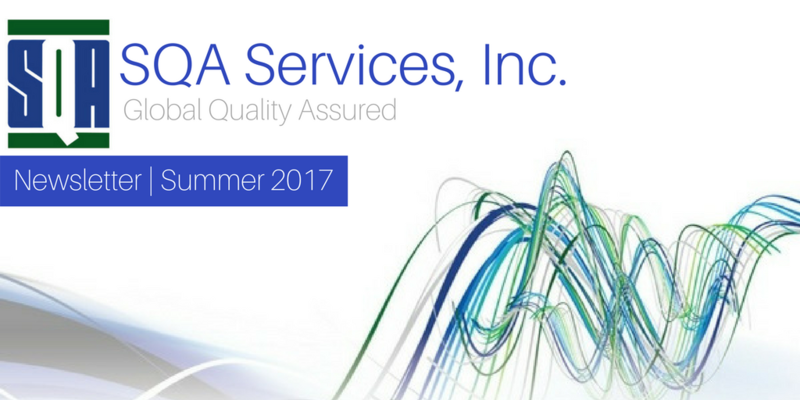 SQA looks forward to hosting the PCPC QAC next year, on July 11-12, 2018! The Pharmaceutical Quality Congress was held on June 14-16 in Bethesda, MD. Gerard Pearce spoke on “Diving Deep – Understanding More of the Pharmaceutical Supply Chain in 2017.” Gerard’s presentation focused on five key areas of supply chain evaluation and monitoring that represent best practice and maximize the effectiveness of internal and external resources in identifying and addressing supply chain vulnerabilities. The SQA team will be exhibiting at and attending the following events. We’d love to see you there! Save the dates! 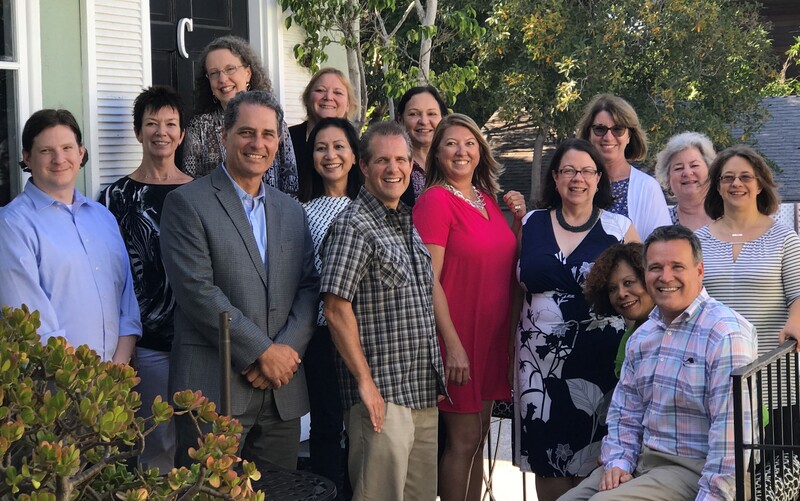 The SQA team will be hosting our remaining Quality Exchanges for 2017 in Los Angeles on September 14–15, and November 30–December 01. The QX is a forum for invited industry leaders to share quality concepts to help one other advance and improve. Look out for posts with #SQAQX for updates and more information. “I have had the pleasure of working with SQA Services for five years. Over the last 20 years, I have had many roles in the international Pharmaceutical industry, including Research, Information Technology, Manufacturing, and Quality. My bachelor’s degree in Chemistry with Pharmaceutical and Forensic Sciences was obtained from the University of Bradford, Yorkshire, England. I enjoy working in all areas of Quality Management, including Audits, Inspection Preparation, Gap Analysis, Document Consolidation, and Developing and Presenting Training. Currently, I am involved with GMP and Pharmacovigilance audits and CAPA review for SQA. I have been an ASQ Certified Quality Auditor since 2010, and I enjoy attending local ASQ meetings when time permits. performance, and thank them for their dedication to SQA!